San Diego County Crime Stoppers along with investigators from the San Diego County Sheriff Department’s Homicide Detail are still asking for the public’s help in finding Maria Elena Guzman-Cordova. Maria Elena Guzman-Cordova is missing under suspicious circumstances. On October 13, 2017, at about 9:00 p.m., Maria Elena Guzman-Cordova left her residence, located at 1610 North Santa Fe Avenue #38 in the City of Vista. She was last seen on foot wearing a pink or black shirt and black yoga pants. Maria Elena did not take any personal items with her or told anyone where she was going. Maria Elena Guzman-Cordova may suffer from depression. The Sheriff’s Homicide detail will hold a press conference today, September 27, 2018, at 10:00 a.m. at the Headquarters building, located at 9621 Ridgehaven Court, San Diego. Homicide Lt. Rich Williams will be speaking at the press conference along with Sgt. Alejandro Navarro who will give Spanish interviews. Maria Elena’s family will also be in attendance. 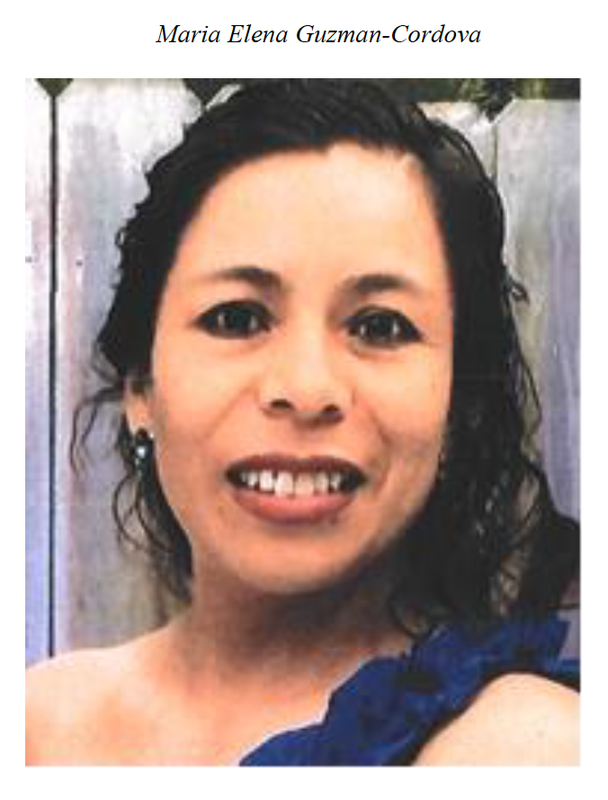 Anyone with information on the whereabouts of Maria Elena Cordova-Guzman is asked to call the San Diego County Sheriff’s Department’s Homicide Detail at (858) 974- 2321 or the Crime Stoppers anonymous tip line at (888) 580-8477. Crime Stoppers is offering up to a $1,000 reward to anyone with information that leads to an arrest in this case. Information on how to send anonymous emails and mobile app tips can be found on our website www.sdcrimestoppers.org. Media inquiries about Crime Stoppers can be directed to Deputy Adriana Uribe at (619) 531-1547 or email at adriana.uribe@sdsheriff.org or Officer Mark Herring at (619) 531-1500 or email at msherring@pd.sandiego.gov.